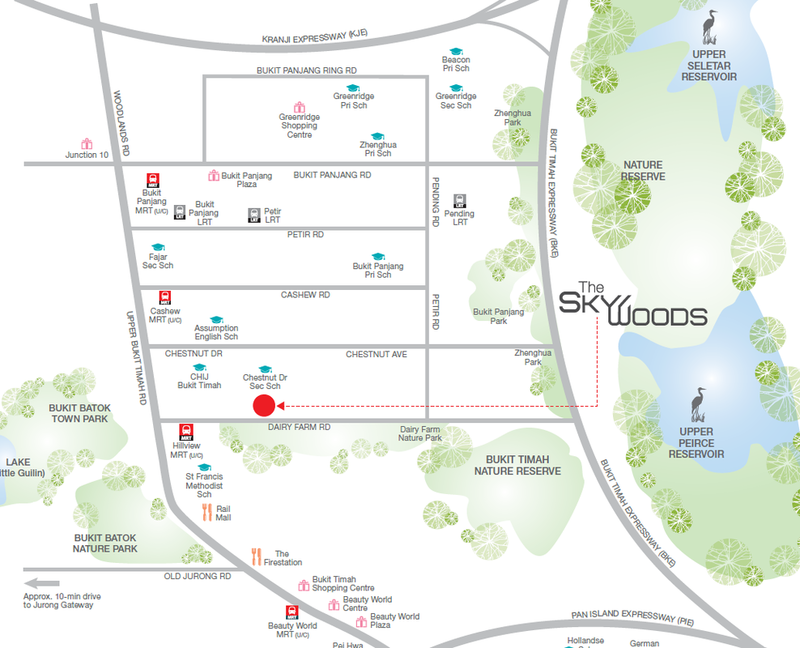 Register here for The skywoods - VIP Discount before its sold out - over 95% sold! 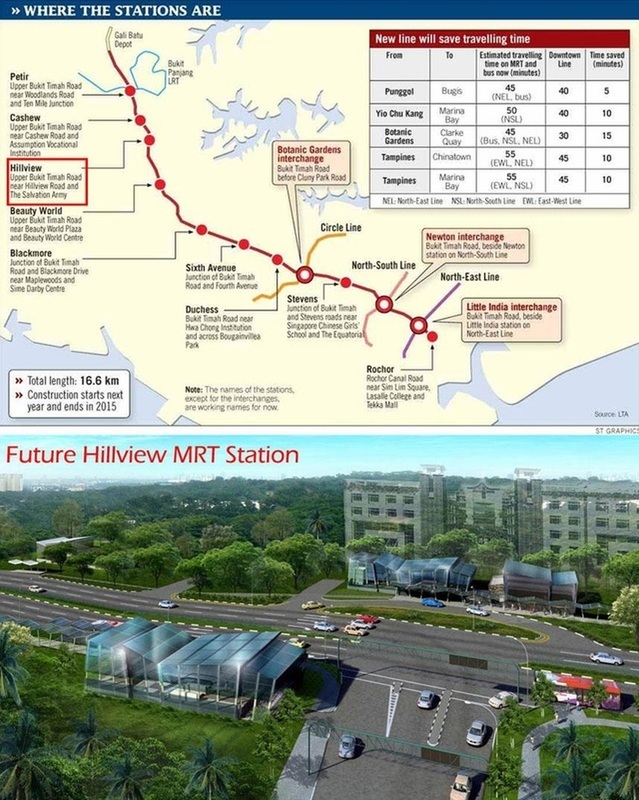 Hillview MRT Station will bring great convenience to residents staying in The Skywoods which will TOP around June 2016. Close to 90% sold. Latest News!! 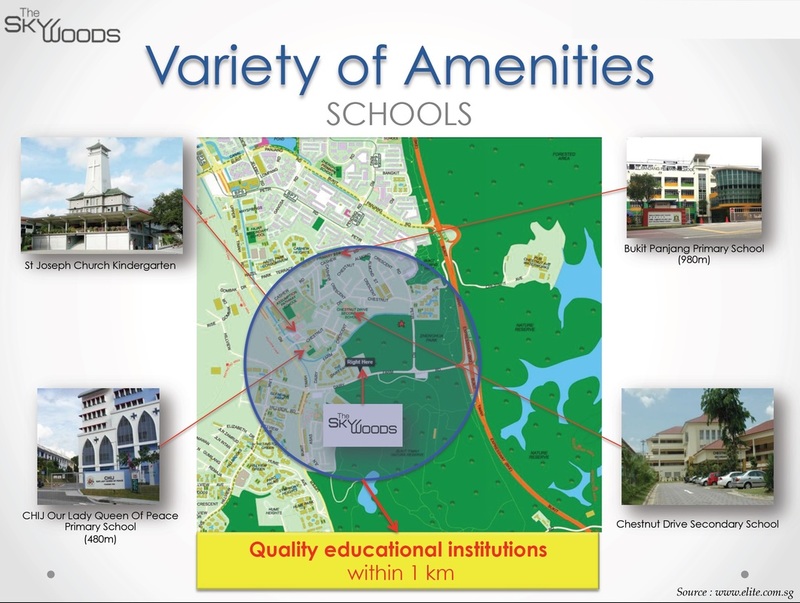 The German European School Singapore with an estimated 1,500 students will be built by 2017 beside The Skywoods. 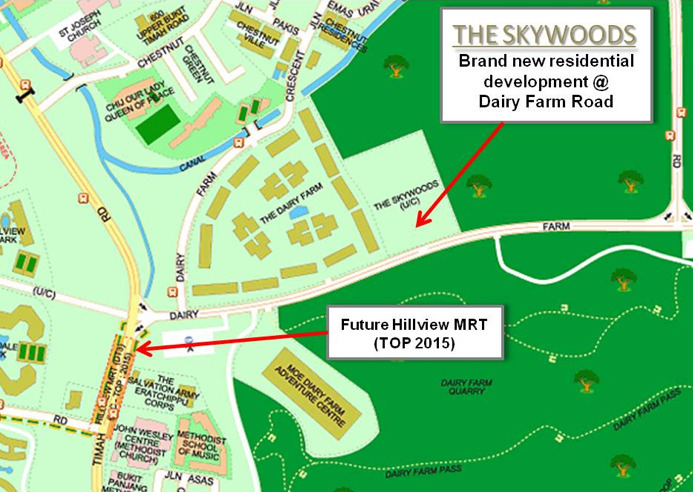 This is great news to investors and owners who are intending to rent out The Skywoods when it TOP around June 2016! 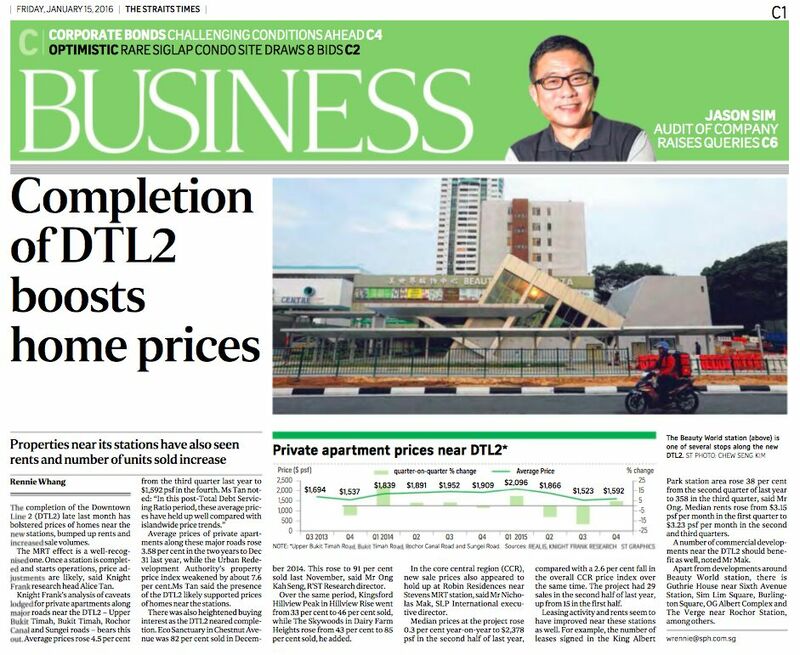 With the news of the German International school beside the skywoods and the opening of the new downtown line @ hillview mrt station near the skywoods - we have sold 90% of its total units. 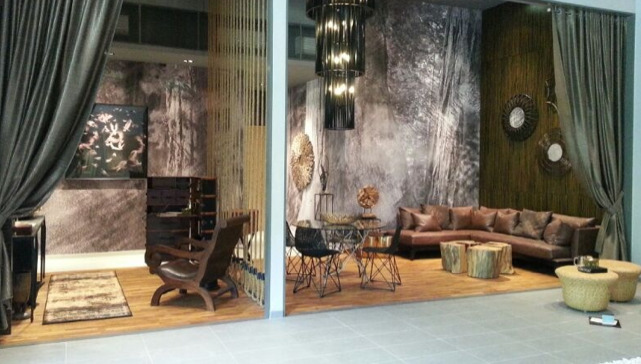 if you like to enjoy vip discount, register for viewing with us now. 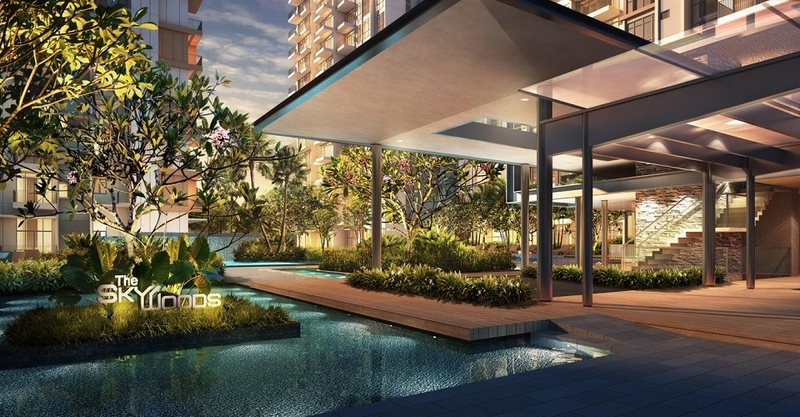 With six 15-storey towers strategically placed within expansive grounds, a wide variety of units to pique your interest, as well as 6 wonderful lifestyle zones to engage your senses, The Skywoods is just the oasis you wanted. 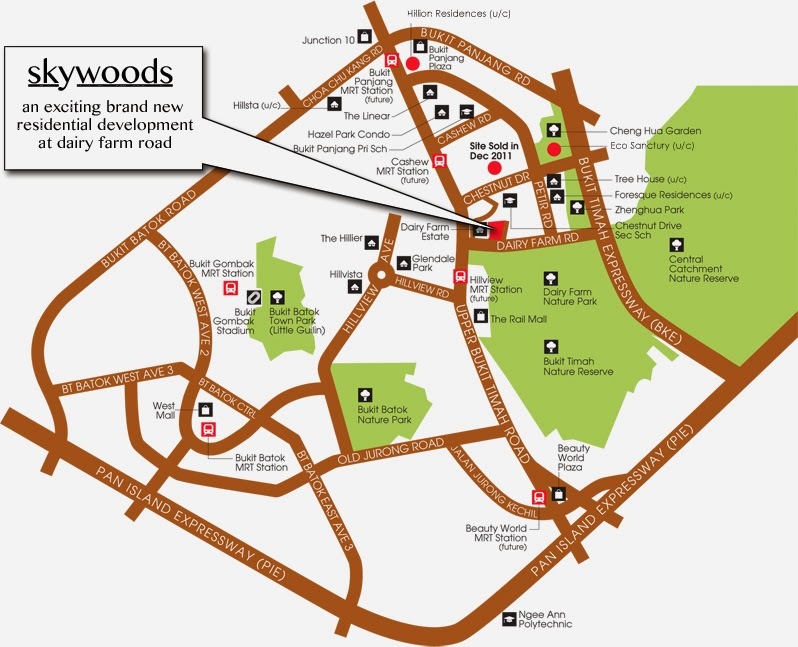 THE SKYWOODS is a luxurious new residential development set in a lush greenery environment of Dairy Farm Nature Reserve. 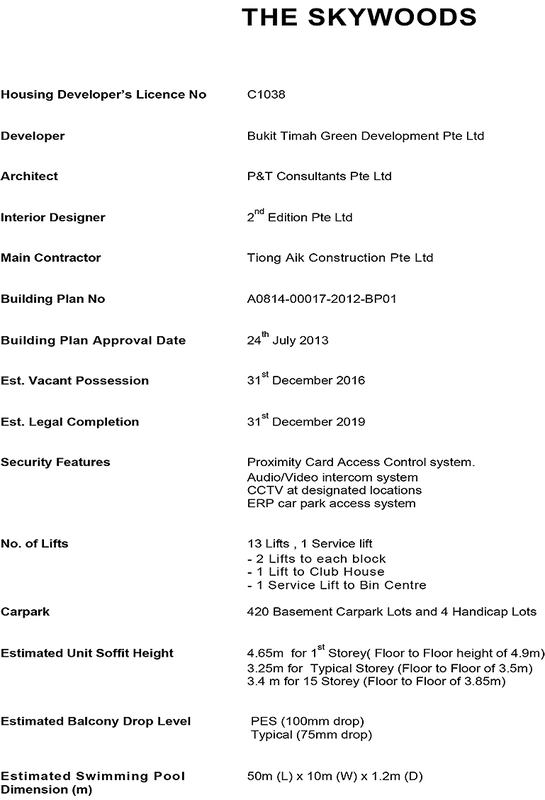 Some units offer unblocked panoramic view of Bukit Timah and nature reserve. 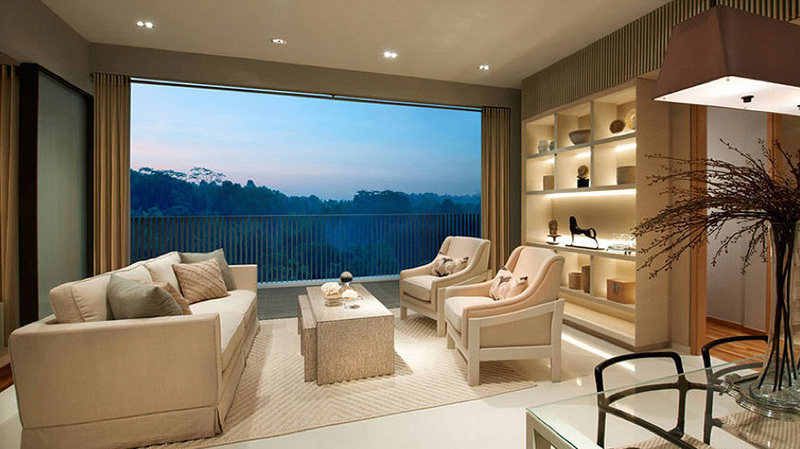 The Skywoods is a residential development by Bukit Timah Green Development Pte Ltd. 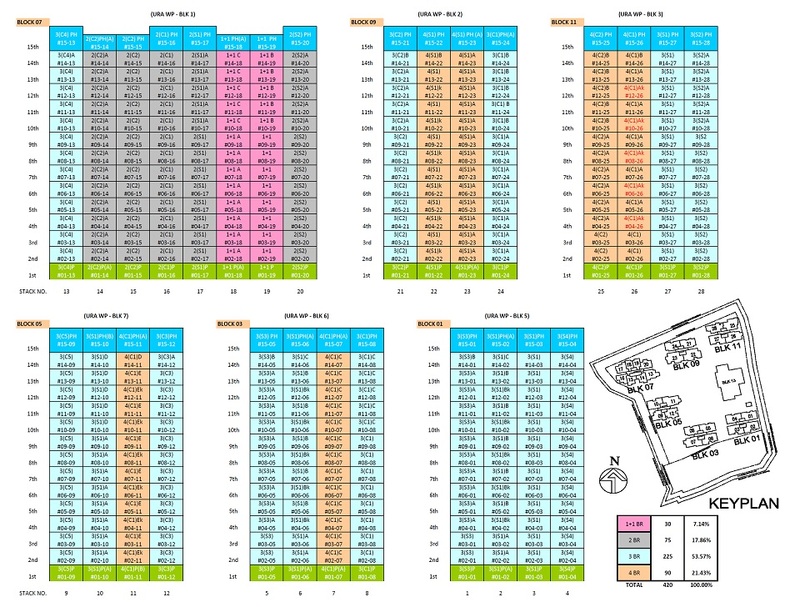 The development is made up of 6 blocks of residential buildings with a total of 420 units with full condominium facilities. 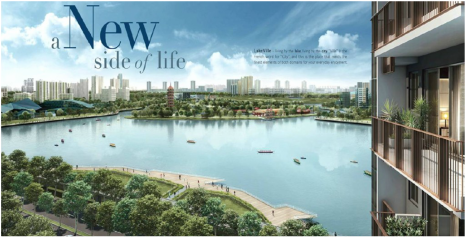 ﻿All 6 towers at the Skywoods are strategically located to give expansive ﻿ground for 6 lifestyle zones ranging from active, family, entertainment and relaxation. 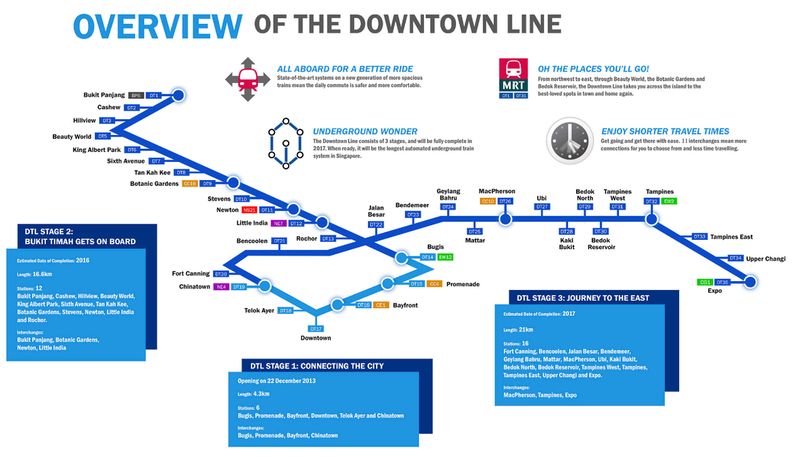 The Downtown Line 3 conveniently connects you to the heart of the city and to the airport. 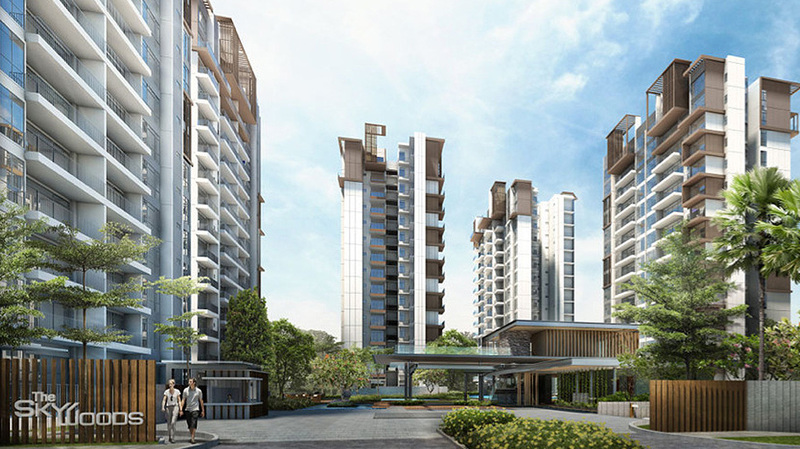 Residents of The Skywoods can visit Hillion mall, Junction 10, Rail Mall, Bukit Panjang Plaza, etc to buy their grocery and shopping, providing The Skywoods residents a wide variety of lifestyle choices from cafes, wine shops, boutiques and eateries. 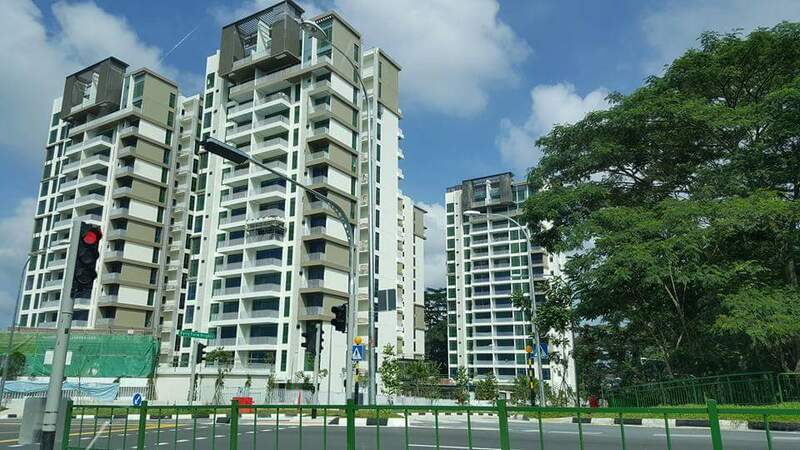 The Skywoods is just a 3 minute stroll to the newly opened Hillview MRT Station of Downtown Line 2 - - offering great convenience to residents at The Skywoods. 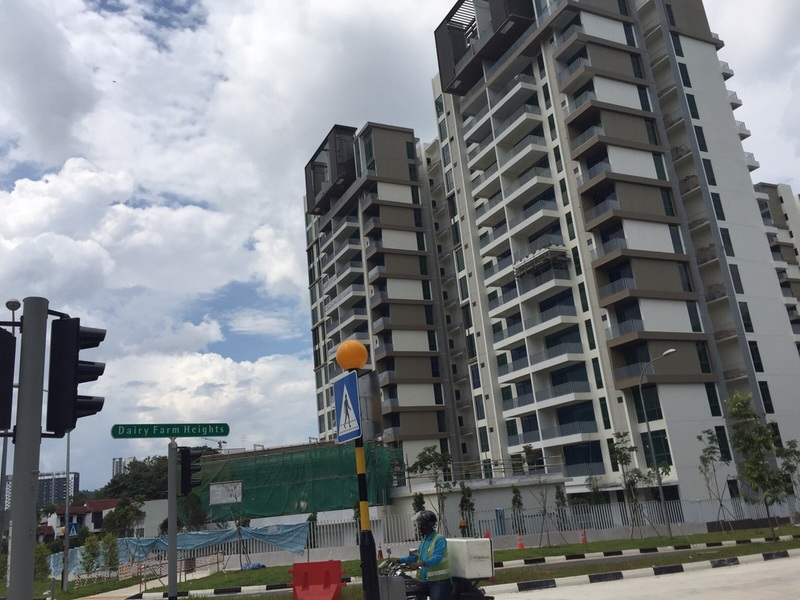 Located at 1 Dairy Farm Heights, The Skywoods is just a 3 minute stroll to the upcoming Hillview MRT Station of Downtown Line 2. 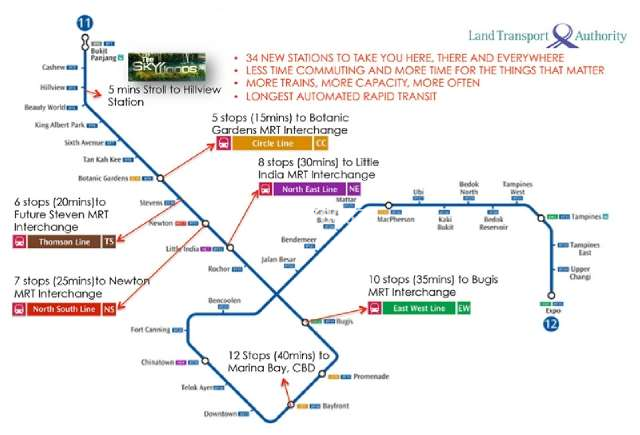 Enjoy the tranquil environment yet the convenience of Singapore’s Longest Automated Rapid Transit. 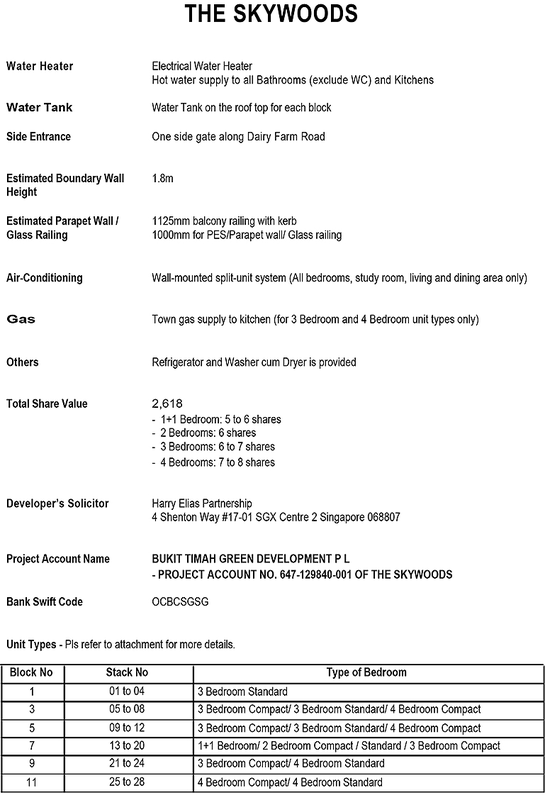 The Dairy Farm condominium is surrounded by a wide variety of amenities. Four established shopping and dining paradises with three of the largest supermarket chains within 3 mins drive, quality educational institutions within radius from your home means lesser travelling time for the young. 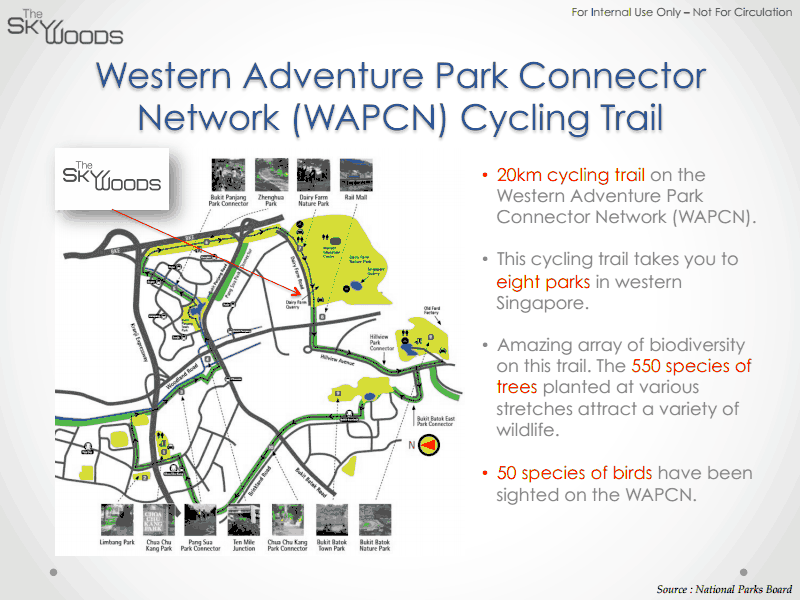 The Skywoods is highly accessible to other parts of Singapore via major expressway like BKE, PIE, KJE, and SLE. 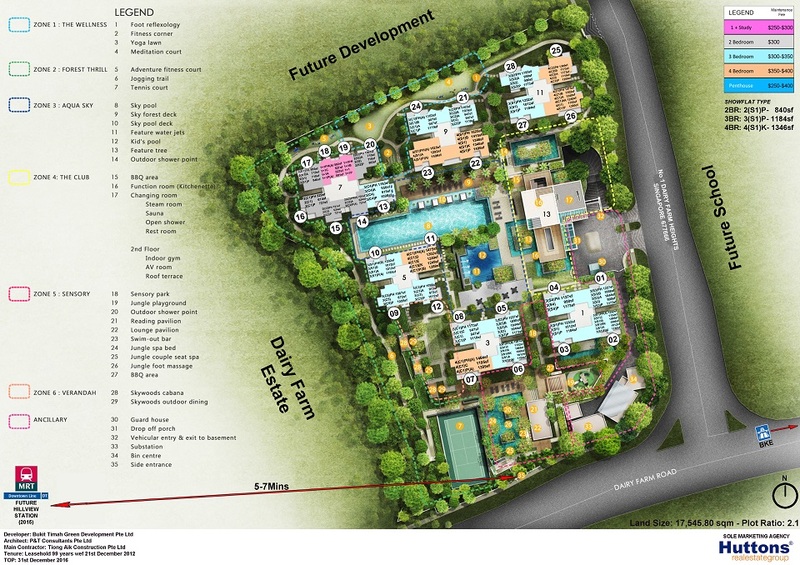 Be one of the few privilege to own a piece of the historic address in Dairy Farm. 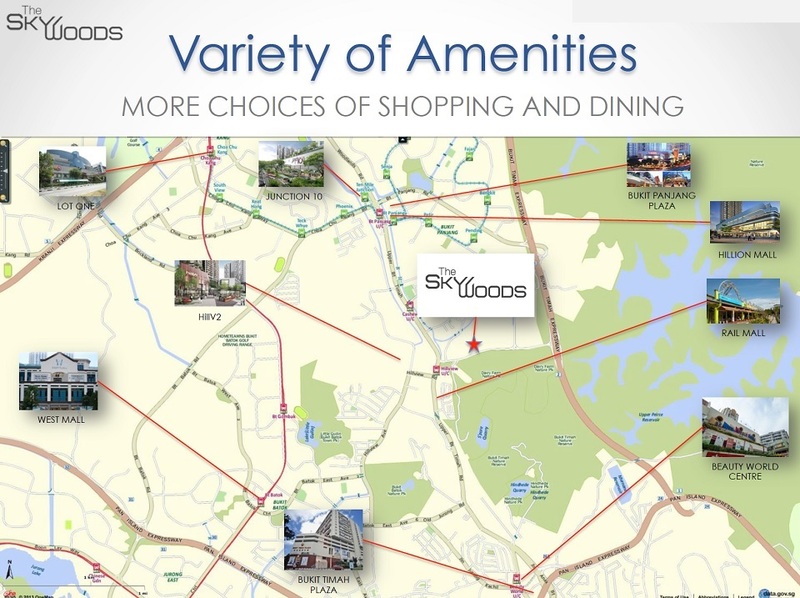 ﻿﻿From everyday necessities and lifestyle embellishments for the weekend to exclusive country clubs and even top-notch educational institutions, The Skywoods has been conceived to place you right at the heart of everything that matters. 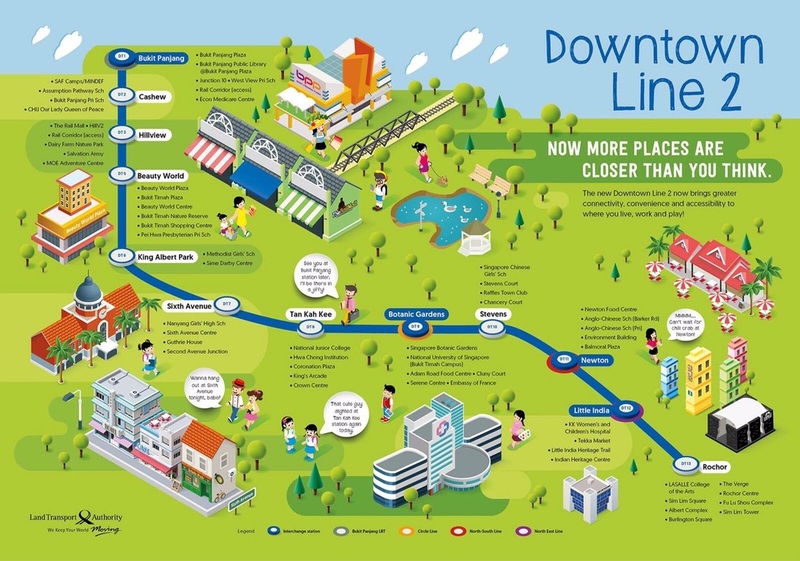 With the upcoming Hillview MRT station only a 5-min walk away, your multi-faceted lifestyle will enjoy exceptional mobility too. 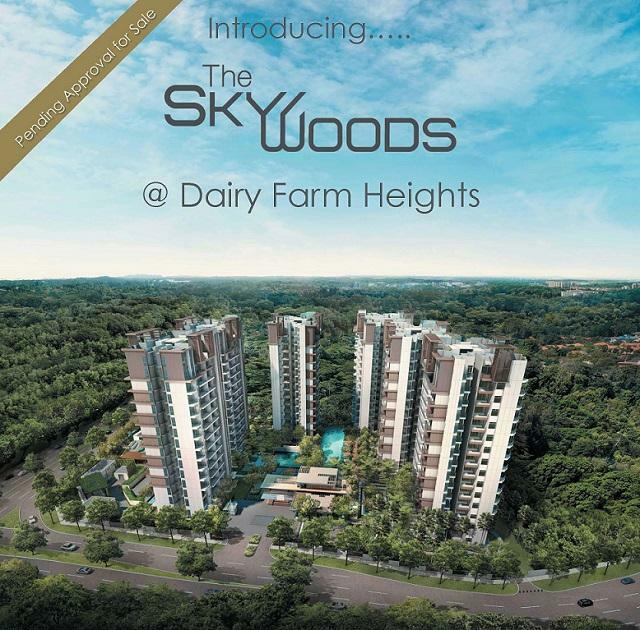 Tucked away in its own tranquil corner of Dairy Farm Road, The Skywoods promises superb views of the pristine forests nearby, together with a luxurious, holistic and balanced lifestyle unlike any other. Every unit here is designed to blend the fresh and vast environs of the outdoors with the warmth and privacy of a truly personal abode. 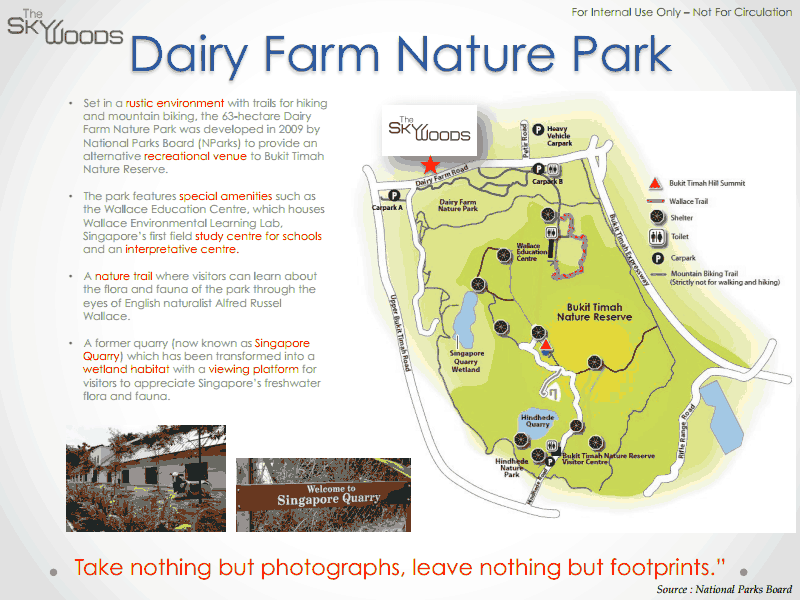 The Skywoods is situated along the relaxing Dairy Farm Road and surrounded by various green places and Bukit Timah Nature Reserve. A tranquil environment rare in Singapore. 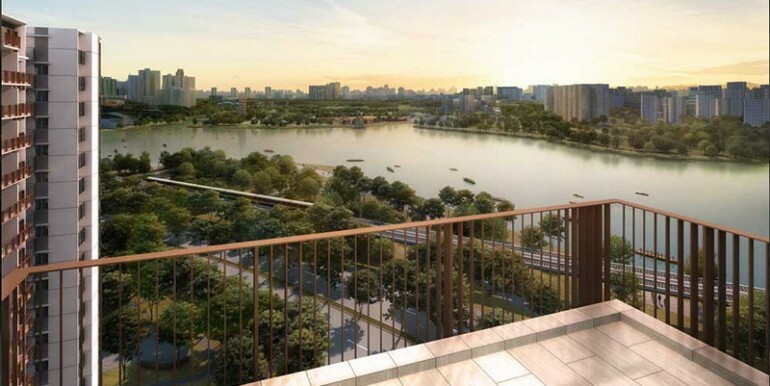 The Skywoods is exclusively located away from the main road embraced by surrounding greenery and only a short 4 mins walk to Hillview Mrt (Downtown Line) and The Rail Mall (Cold Storage Supermarket). Residents can easily access major expressways, i.e. 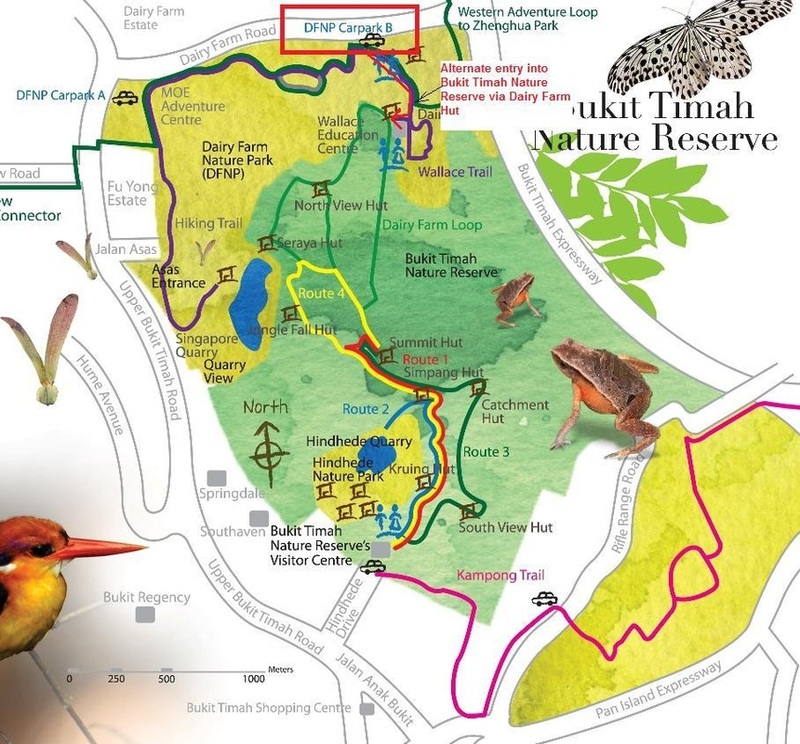 Pan Island Expressway (PIE) and Bukit Timah Expressway (BKE). With such supreme comfort and the awesome greenery beyond your walls framing every minute here, you’ll find a home simply irresistible. Tucked away in its own tranquil corner of Dairy Farm Road, The Skywoods promises superb views of the pristine forests nearby.